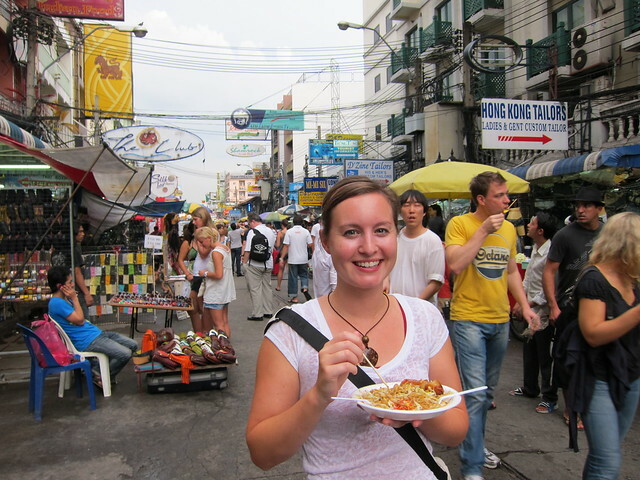 Khao San Road and the backpacker trail – snackettes. 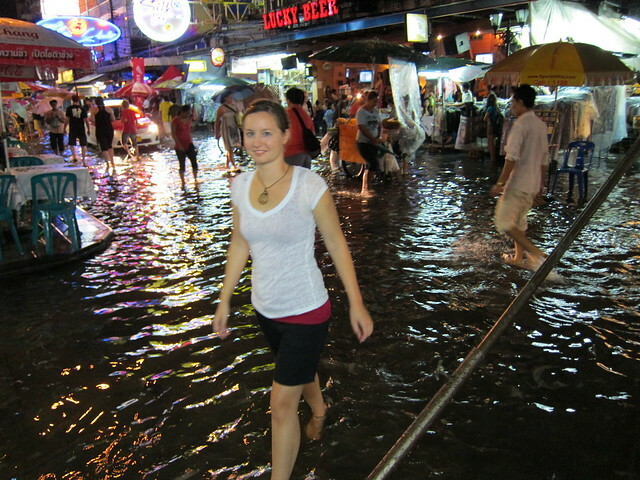 Khao San Road. It’s over-developed; it’s touristy; it’s almost certainly changed since its original establishment as the backpacker haven of Southeast Asia over 3 decades ago. I came to Bangkok expecting to hate it. But like most good travel adventures, it surprised me in a way that I never expected. From the moment you step onto Khao San Road, you know that you have stepped into an odd mix of young and disheveled backpackers, aging expats that just never seemed to be able to pick up and leave, neon signs and posters blaring at you from every angle, and a fascinating history at the interface of East-meets-West culture. 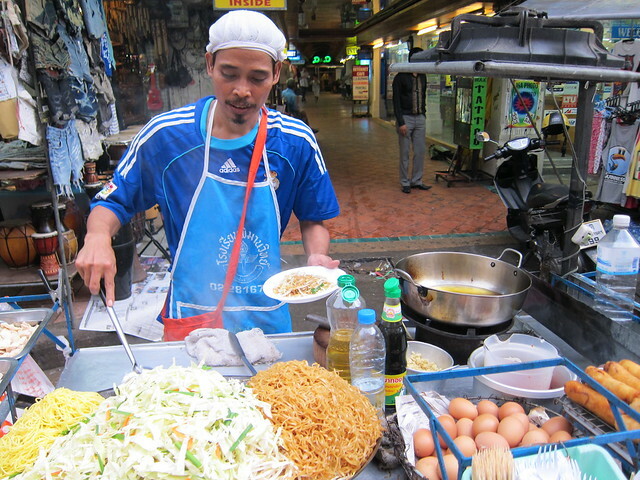 Banana pancakes, pad thai, and an array of crispy bugs roasted over large woks can all be had for less than a dollar. A large bookstore sells used books in English (hard to find outside of Bangkok), ranging from Neitzsche to Chopra that have been passed down through the years by countless backpackers before us. 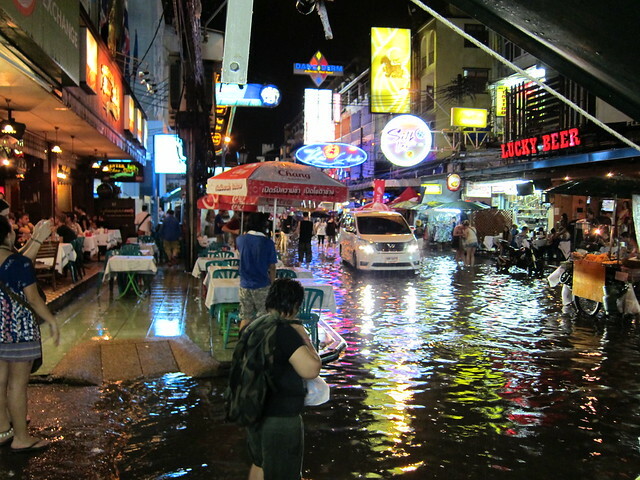 The problem that I had with Khao San Road before even seeing it is that I have generally found that hanging around other travellers ruins the experience of a place, makes it lose its authenticity. More recently, I’ve begun to appreciate that it’s still worthwhile and even enjoyable to accept a place for what it is—expats, other travelers, indigenous people– everything. In fact, this realization only came to me while strolling down Khao San Road—perhaps the most over-touristed backpacker strips in the entire world, which I really couldn’t help but find fascinating. I had considered getting a fake Harvard ID at the booth that manufactures any fake ID that you could want in under 20 minutes, but I already had a real one! (I tried to take a picture of all of the the available IDs for purchase, when I got shooed away by a man saying “no photos…”). 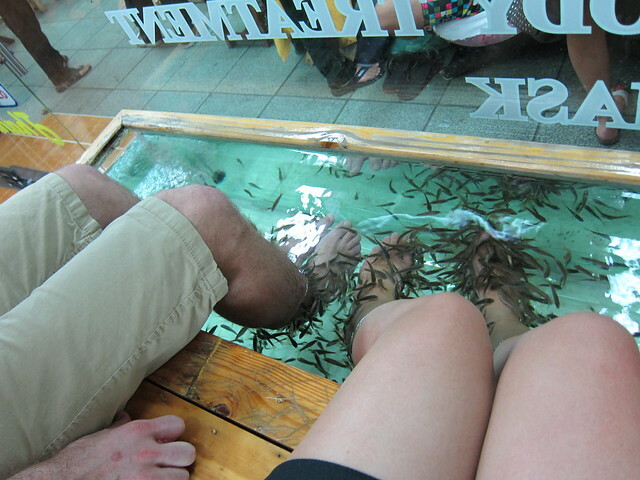 Interestingly, we decided to undergo the fish treatment only due to its complete and utter weird factor, but we ended up loving it. Initially, the experience was horribly ticklish; I kept jerking my feet out of the tank and ruining the massage experience of the woman near me with my shrieking. By the end, my feet that had been aching all day from walking all across Bangkok felt incredibly relaxed, like I had not stood on them for a week. Also priceless were the horrified looks we got from other tourists walking by and looking at our feet—unfortunately we did not get any pictures. Just another example of how something so commonplace—a little rain shower—can be transformed by this crazy but somehow charming place. And myself? I now understood the appeal of backpacker ghettos after years of writing them off so quickly. 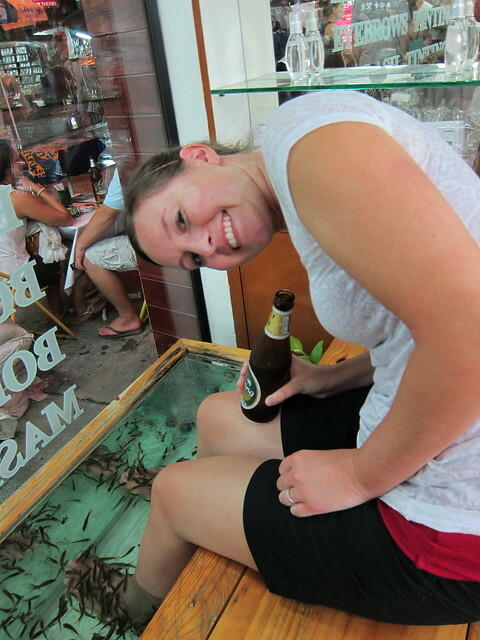 Khao San Road, I love you.